Do you hate the way fenders look, but you also hate having your inner leg sprayed with dirt, rocks, and water? One solution is to get your hands on FlightFin's FlightShield Pro. They have a clear version that lets you see your tire while still protecting you from debris. However, at Leehweno, that's not good enough for us! 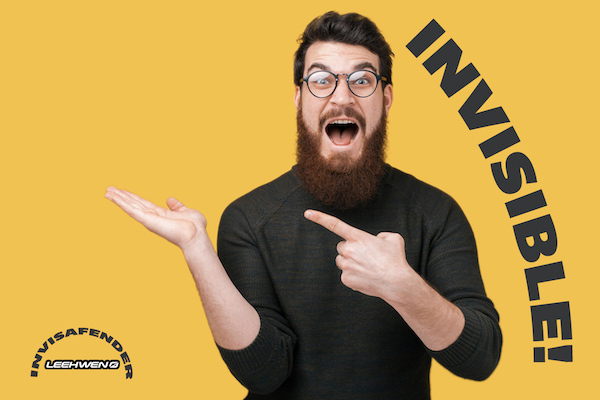 That's why we created, InvisaFender! 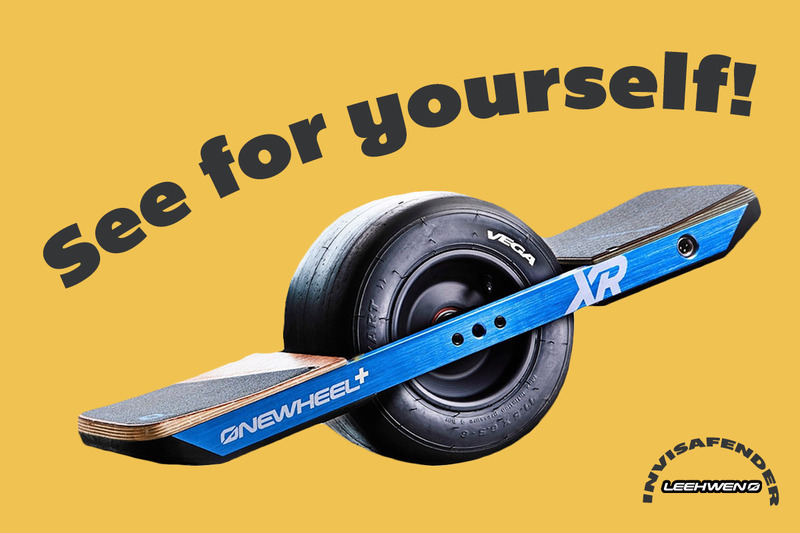 InvisaFender is a revolutionary design that completely redefines the way a OneWheel fender is supposed to be... invisible. It's not plastic. It's a special carbon fiber material that bends light around it, causing it to be completely invisible! Now you can ride your board naked (aka fenderless) without anyone knowing that you're wearing protection! Haters will say this is fake.